40 years of occupation. Palestinians are herded like cattle through the many Israeli controlled check points, every day to go to work! This entry was posted in Liberty & Freedom Room, Wake up Films & Documentaries on September 30, 2011 by Editor. This entry was posted in Liberty & Freedom Room on September 30, 2011 by Editor. This entry was posted in Government experimentation on the public, Liberty & Freedom Room, Pregnancy and birth on September 29, 2011 by Editor. Listen to the end..Alex Jones puts up a graph to show that the highest vaccinated areas in the world correspond with the highest rates of cancer. This entry was posted in Articles & Breaking News, Eugenocide/Population Control, Vaccine Injection Room on September 29, 2011 by Editor. This entry was posted in Articles & Breaking News, Gardasil HPV Vaccine on September 28, 2011 by Editor. This entry was posted in Eugenocide/Population Control, Wake up Films & Documentaries on September 28, 2011 by Editor. This entry was posted in Recommended Websites on September 28, 2011 by Editor. 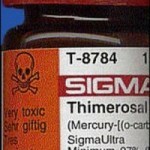 Read more… Breaking news research by Dr. Paul G. King snuffs out CDC soundbite that Thimerosal is safe whereas methylmercury is unsafe. 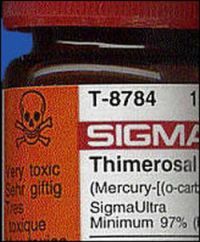 “…the metabolic process in the human and animal bodies the supposedly “harmless” ethylmercury compound, Thimerosal, is metabolized (converted) into the toxic and “harmful” methylmercury. And then in turn, the harmful methylmercury is metabolized (converted) into the most harmful, long-term-toxic, “inorganic” mercury that is retained in bodily tissue”. This entry was posted in Death By Medicine, Medical information and Research Data, RESEARCH, STUDIES, DOCUMENTATION, Vaccine Injection Room on September 28, 2011 by Editor. Peaceful student protestors are first hemmed in by the police in an orange net like fish. Then an official “white shirt” NYPD top organizing cop sneaks in and sprays mace, then quickly leaves. Some of the cops holding the net seemed stunned by the action. This entry was posted in Liberty & Freedom Room on September 27, 2011 by Editor. This entry was posted in ASK Dr. Paul G. King (vaccine questions), Medical information and Research Data, RESEARCH, STUDIES, DOCUMENTATION, Vaccine Injection Room, You are being poisoned and tagged Mercury, Thimerosal on September 27, 2011 by Editor.